Ladies, know that the perfect clutch is key for tailgating. You need to be able to fit your necessities but be fashionable and not have to lug around a huge bag! I found the BEST clutch on Etsy a few years back. [The shop I ordered from isn’t in business BUT I found a match!] 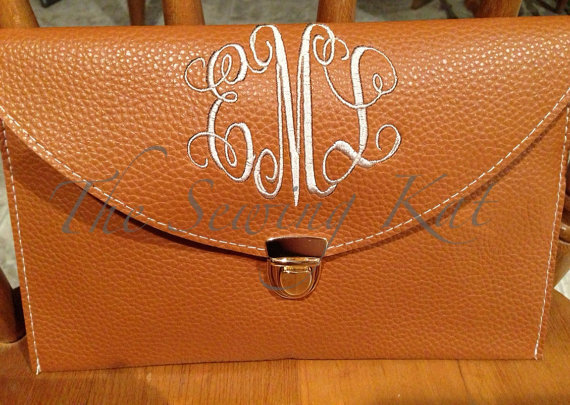 You can monogram it even! It comes in a TON of colors too! This envelope clutch can be carried or has a chain that can easily comes out to carry cross bodied or shoulder style! Even better? THEY ARE $20!! I have one similar to the above picture! The camel color goes with everything! Check out the Etsy TheSewngKat! Other great items on there as well! Do you have a favorite game day purse?